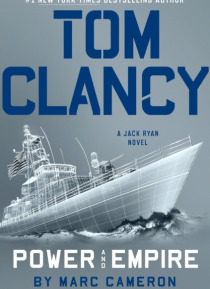 A newly belligerent Chinese government leaves US President Jack Ryan with only a few desperate options in this continuation of the #1 New York Times bestselling Tom Clancy series.Jack Ryan is dealing with an aggresive challenge from the Chinese government as the G20 Summit approaches. Pawns are being moved around a global chessboard: an attack on an oil platform in Africa, a terrorist strike on an… American destroyer and a storm tossed American spy ship that may fall into Chinese hands. It seems that Premier Zhao is determined to limit Ryan's choices in the upcoming negotiations.But there are hints that there's even more going on behind the scene. A routine traffic stop in rural Texas leads to a shocking discovery--a link to a Chinese spy who may have intelligence that lays bare an unexpected revelation. John Clark and the members of the Campus are in close pursuit, but can they get the information in time?